View More In Internal Hard Drives - Page 2. Embedded system operation puts great emphasis on reliability and durability for it generally runs for 24/7 and under harsh environment. To survive in such critical operating conditions, Silicon Power Industrial Grade SSDs are adopted for safer data maintenance purpose, which is essential for mission-critical applications. To provide more reliable storage solution, the 300RW Series apply the Power shield and Power Failure Protection (PFP) to keep the SSD away from crashes due to unexpected power failure. Moreover, the PFP is designed to act as a backup power that it can hold up the voltage to ensure the latest commend being executed and all data in-transit safely delivered from DRAM cache to the flash memory. The 300RW SSD applies the advanced AES 256-bit encryption technology to promise higher data security. MIL Standard grade is an essential requirement of most government agencies and some severed environment application. The U.S. Military Standard (MIL-STD) 810 represents a certain level quality of goods as it has to pass through a series of tests such as vibration, high G-force shock, drop, thermal chock and low pressure testing. Compliant with high quality controller and Serial ATA Revision 3.1 Standard with 6.0 Gb/s transfer rate, the 300RW SSD delivers high speed read/write performance up to 530/450 MB/s, which makes it an ideal solution for various application of industrial PC and embedded systems. 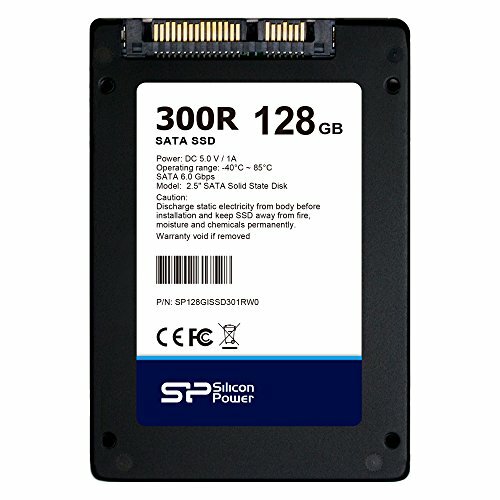 To reduce possible errors and offer higher data transmission safety, the 300RW SSD supports multiple techniques, including Global Wear-Leveling, Advanced Garbage Collection, SMART health monitoring software, SMART feature command set, TRIM command and Secure Erase command. SP Toolbox is designed and developed for SP Industrial Flash products, and provides multiple ways for users to obtain product information such as Drive Information, S.M.A.R.T. Status, Wear Out Count, Block Information, Diagnostic Scan, Performance Test and Secure Erase. Moreover, with the SP Toolbox advanced features and user friendly interface, it makes user able to maintain a healthy and efficient device more easily. BUILT FOR HARSH ENVIRONMENT - The 300RW series can sustain in extreme environments (-40°C ~ 85°C / -40°F to 185°F), ideal for the system or equipments with high demands in temperature.